Level one there is low trust. And that’s where the students are. 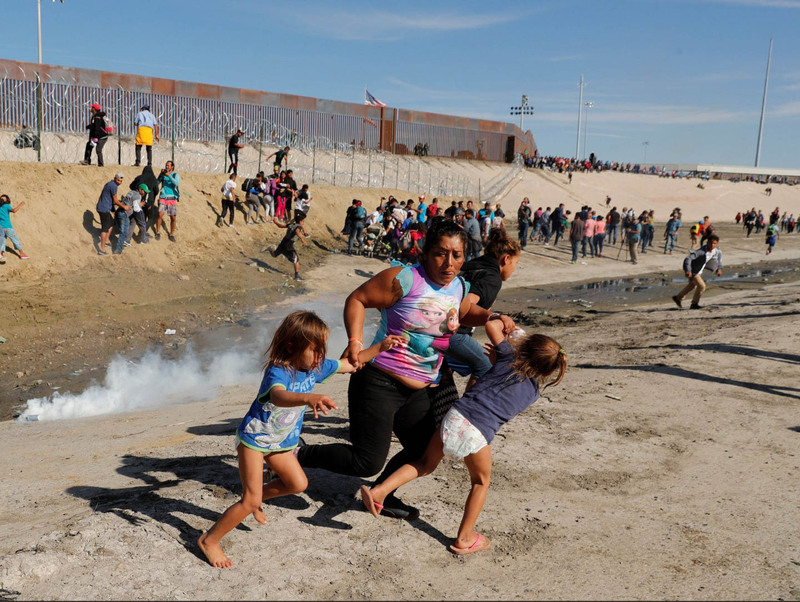 This is a photograph of what’s going on at the border in America’s name. Maybe you agree with it, but actually most Americans don’t. That is, assuming they think the photo is trustworthy. The vast majority of students don’t engage in this level of conspiracy theorizing. But exposure to this stuff over time, combined with no instruction on how to sort trustworthy information from untrustworthy information in a networked environment leads to that undifferentiated suspicion that we see towards everything. Gullibility can do real damage, as we see with some people who consume a daily diet of toxic fakery. But for the median citizen — and especially our youth — I am far more worried about the corrosive effects of cynicism. Major advances in the U.S. — from civil rights to the social safety net — have been driven by the public being confronted with the consequences of their inaction or action and having to reckon with that. But if everything is worthy of low trust at best, you never need to confront the impacts of policy or politics or personal action. Uncertainty — hey, I did hear about that but who knows what’s true anyway — acts as a cutural novacaine, allowing one to persist in inaction, even as evidence mounts of effects that that same individual might find repugnant — if, you know, it turn out to be really true. Like, really, really true. And who knows? For reference, a three for most of these trustworthy prompts is a good answer, so this is an incredible amount of differentiation. That’s after just four hours. More details here. Most of what we give students today doesn’t get students anywhere near this of course. Some of it probably makes them worse at this stuff — so much of the free text comments of students that got this stuff wrong used language that was straight out of an information literacy session they had had at some point (more on that later). But we could give students this, if we wanted to. And if we want to retain our capacity to be unsettled — the driver of so much of the politics that has improved this country and others — giving them this is essential.